"Jody Gastfriend has created the ultimate GPS for family caregivers. At once humane and helpful, personal and political, she charts the long, hard, and rewarding role that all of us will take caring for our families and each other. Don't leave home without it!" “My Parent's Keeper shines a light on the conundrum of caregiving—as adult children, our best intentions are insufficient to help our parents and ourselves. We need a plan in advance of need—this book offers up-to-date guideposts for this inevitable caregiving journey." 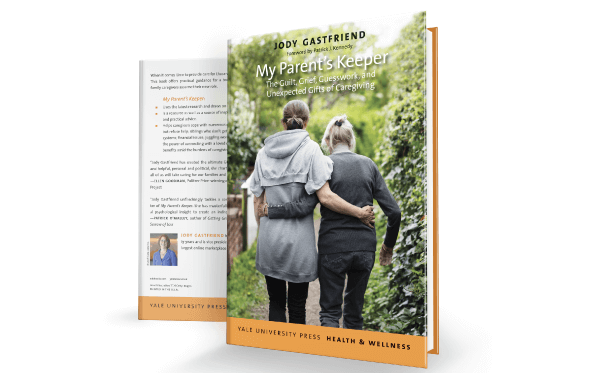 “Jody Gastfriend's My Parent's Keeper offers definitive testament to how the slow, destructive force of Alzheimer’s disease disrupts generations and challenges families caring for loved ones with dementia. It is a must-read and a wake-up call to the public/private sectors who serve our aging population."